The clever and cunning plan was simple – if I was going to stand a chance of writing anything worth reading, I was going to have to stop trying. So, instead of aspiring to be as good as (insert someone good here), or write a book as impressive as (insert something impressive here), I decided to just write. And when I say I had to ‘stop trying’, that’s really what I did. I didn’t let myself get hung up on plot, or pacing, or even grammar! I just wrote something that felt right at the time, something that felt enjoyable to me. That way there was no possible way of losing. If it ends up being publishable – brilliant! If not, then at least I’ve really enjoyed the process, and not wasted days, possibly weeks of time going over it with a fine tooth comb. To say I just jumped into it totally unprepared would be a bit of an exaggeration. The core concept of what I wanted to do (write something that encapsulated my memories of school) was something I had been thinking about since I actually was at school. In the past fifteen years I had even made a couple of false starts at writing it as a screenplay, albeit a totally different story, with totally different characters, and more of a drama than a comedy (probably more akin to The Virgin Suicides than One Seriously Messed-Up Week). But the inspiration remained identical – one single image of a group of teens chilling out on a school playing field. That was the only thing that I was certain would be included in the book. I then spent weeks rummaging through my head, sending my brain back in time for every possible memory of what it was like to be a teenager, making notes on key themes, universal issues, and everything that I know now that I wish I’d known then. And finally, before I put pen to paper, I needed to decide on a style of writing. A lot of what is in the book just grew organically, without/despite planning, especially Jack’s voice and personality. I didn’t want to limit myself by choosing one definite style that I had to stick to, but one thing I did know about the style was that I wanted it to be fun. 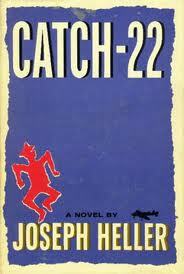 Catch-22, by Joseph Heller. The dialogue in this book just bubbles with energy and makes me smile every time I even think of it. 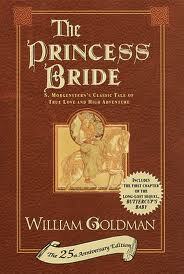 The Princess Bride, by William Goldman. Easily the most fun, enjoyable, and imaginitive book I have ever read. 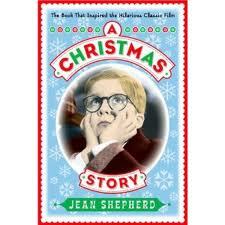 A Christmas Story, by Jean Shepherd. A nostalgic glance back on childhood, full of dry wit and perfectly orchestrated humour. The only thing that remained was to actually sit down and write the thing. Oooh, clever. I love these posts, they’re so interesting! I’m no writer, but I don’t think I could ever write a teen book using my own memories of being a teenager, even as just a tiny guide. It would be supremely boring, ha. Looking forward to the next post! Did I mention that the only parts of the book inspired by my life come under the ‘Mundane and Uneventful’ heading?! Thank you for the compliment though! Haha! Mine was worse, believe me. I didn’t go out, just sat in front of my computer every night. It was only from about 19 that I found I actually got a smidgen of a life, lol.